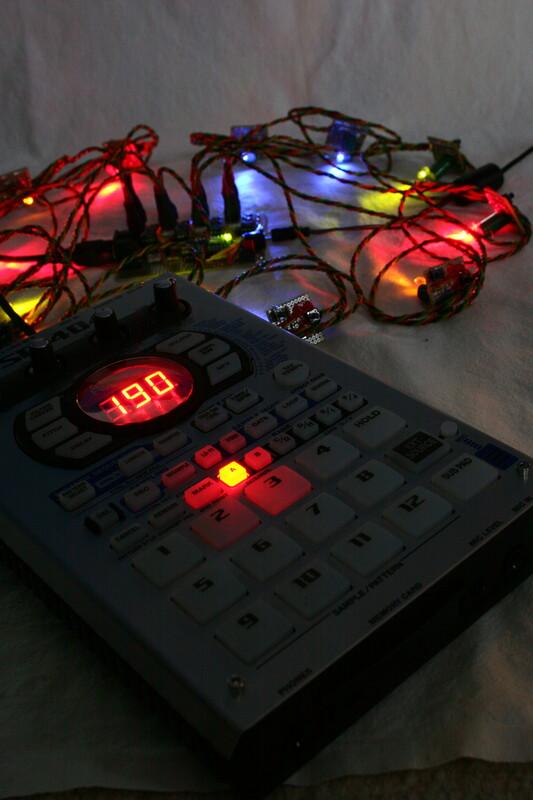 Task: Design and implement both circuits and software to control 12 LED lamps and MIDI sampler. An interaction design student did his Master thesis work for the Smart Studio at the Interactive Institute and need help with the technical realisation of his prototype for a light and sound installation. 12 touch sensitive surfaces are placed around a clock tower. When each is touched a light illuminates under it and starts to fade out. At the same time a specific sound from a MIDI sampler is played. A simple and robust solution was achieved with a combination of durable mechanical switches, electronics and control software in a BasicX embedded controller.